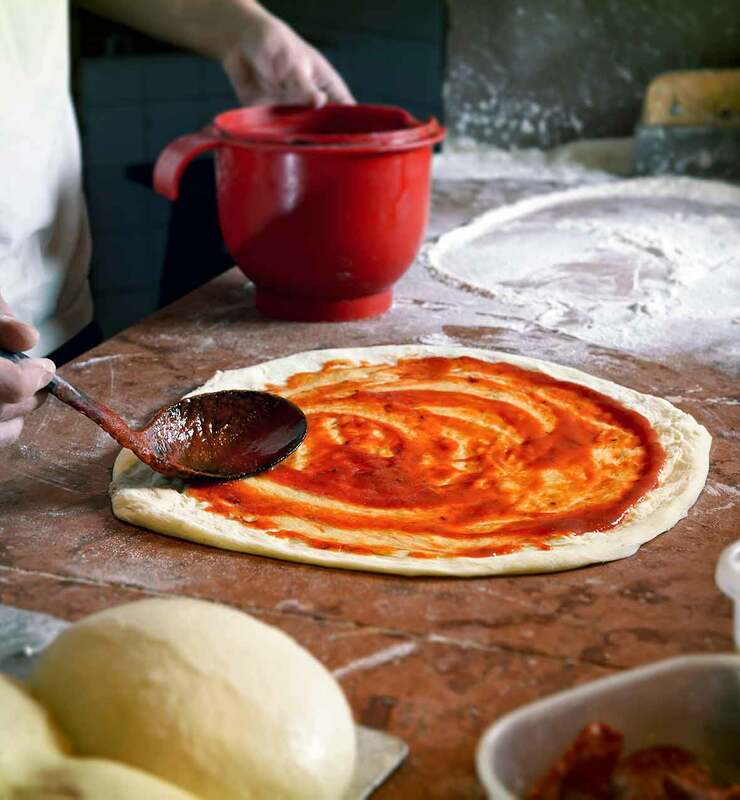 Who woulda thunk that a homemade pizza sauce could be so silken, so simple, so toss-out-every-other-sauce satiating? Yet everyone who tried this recipe commented on how uncommonly lovely this sauce is, whatever the pizza creation they teamed it with, whether a plain pie or a mammoth meatball monstrosity. One even went so far as to describe it as “silky but not overpowering in flavor.” But don’t take our word for it. Taste for yourself. 1. In a small skillet over medium heat, warm the olive oil. Add the garlic and cook, stirring frequently, until fragrant, 1 to 2 minutes. Be careful not to let the garlic scorch or the resulting sauce will taste bitter. 2. In a nonreactive bowl, stir together the garlic and its oil along with the tomatoes and their juices, the dried basil, dried oregano, dried thyme, pepper, water, and 1 1⁄2 tablespoons of the vinegar. Taste and season with salt and additional vinegar as desired. Use right away or cover and refrigerate for up to 1 week. How can something so simple be so good? And how can a tomato sauce be so good when it’s not cooked at all? The answer to both of these riveting questions is, “Because it is.” Make this and taste it. Of course, you need to use top-quality canned crushed tomatoes. I waited to add the water to the sauce until after I tasted it. After tasting the sauce, I didn’t add the water. I wanted the full-on tomato taste. I could eat this sauce on its own with a spoon. (Actually, I did.) I made a double batch of this sauce. We used it for pizzas and also to dress a batch of meatballs that I made a couple days later. This sauce is a winner. 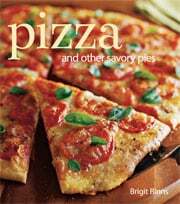 Simple Pizza Sauce Recipe © 2008 Brigit Binns. Photo © 2008 amaviael / 123RF Stock. All rights reserved. All recipes and photos used with permission of the publisher.